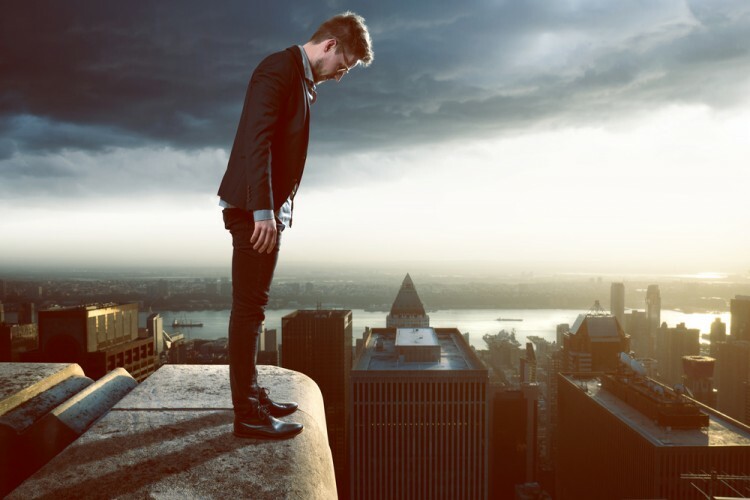 Suicide is an ever-present issue, which is why we, at Insider Monkey, recognizing its importance, decided to look into the matter and offer you the list of 26 highest suicidal cities in the world. Anyone who is not completely oblivious to the reality they are emerged in, is aware that there is more to life than spending time with the people you love, getting that well-deserved promotion and feeling the joy of traveling to a place you have never visited. We know that these are the good things in life because at some point we hit the low life had in store for us all. While most of us go through these moments being aware that they do not last forever and that sooner or later, we will rise again, for others, the blow is just unbearable, and the only solution they see is leaving this world for good. When thinking about suicide, I always remember the movie I watched a long time ago, the title of which I do not even remember now. The narrator tells the story of a man who decided to end his life by jumping off a bridge and goes on to say that, while the man was in mid-jump he came to realize that the only thing in life that cannot be changed was his jump from that bridge. It is this perspective everyone should have in their darkest of days. While I am aware that the shift in perspective is not something acquired very easily, it is definitely something to think about. First, we wanted to find out what country is most suicidal in the world, and we checked the World Health Organization that estimates that close to 800.000 people die every year due to suicide, indicating that every 40 seconds one person commits suicide. Furthermore, in 2015, suicide was the 17th leading cause of death in the world. We have already written about suicide in our article on 10 Countries with the Highest Suicide Rates. The data concerning 2015 statistics ranked Greenland as the country with the highest suicide rate in the world. Lithuania, South Korea, Guyana, and Kazakhstan were also listed as some of the highest suicidal countries. Our analysis of 2016 data and our ranking of 11 Countries with the Highest Suicide Rates in the World in 2016 painted a somewhat different picture of suicide rates worldwide. The highest suicidal country in 2016 was Lithuania, with an estimated of 314.61 suicides per 1,000.000 people. 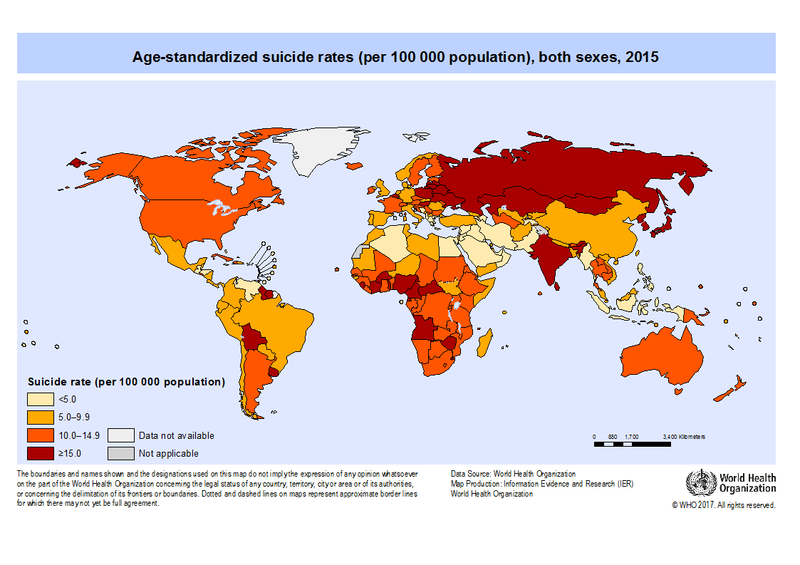 Guyana, Suriname, Hungary, and Japan were also grouped among the highest suicidal countries in 2016. The suicide rates for the year 2017 are covered in our article 30 Countries with the Highest Suicide Rates in the World, so go ahead and find out which country is to bear the stigma of the highest suicidal country of 2017. The problem remains existent nevertheless, and the world has yet to find means to deal with it properly. There are prevention mechanisms, and every country should work at improving these. Perhaps a couple of things or more could be learned from policymakers in Saudi Arabia, Kuwait, and Lebanon, as these are some of the least suicidal countries in the world. In our article on 15 Most Suicidal Cities in India we focused on suicide rates in India only, this time, however, we consider the statistics of suicide rates in cities worldwide. In order to create the list of 26 highest suicidal cities in the world, I have taken into account the data on suicide rates per country and the data on population size in cities. Based on these data I was able to estimate the number of people who die due to suicide in these cities. I have referred to the official data on suicide rates provided by the World Health Organization and by the Organization for Economic Co-operation and Development. While one can find many other sources of data on suicide rates worldwide, their credibility is questionable which is why I am using only these two.